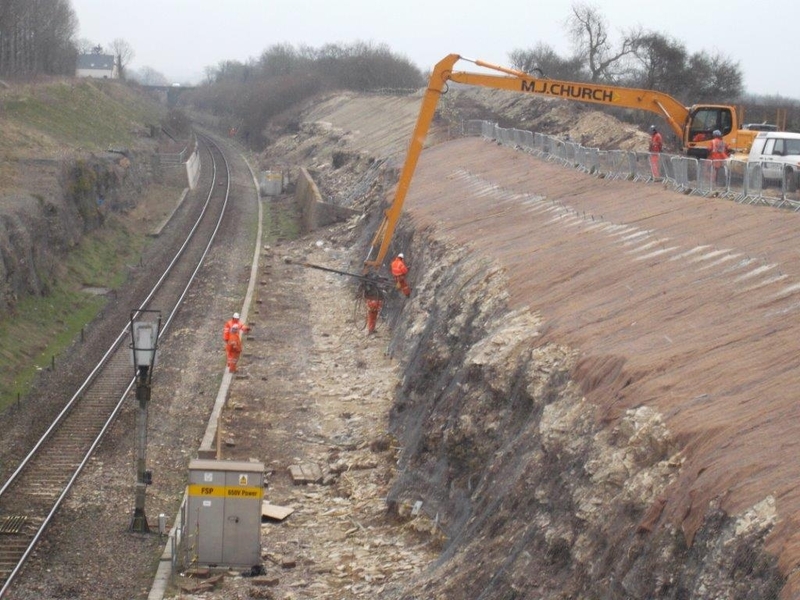 A major project was completed in May 2013 for Morgan Sindall in their joint venture with Colas Rail for Network Rail. 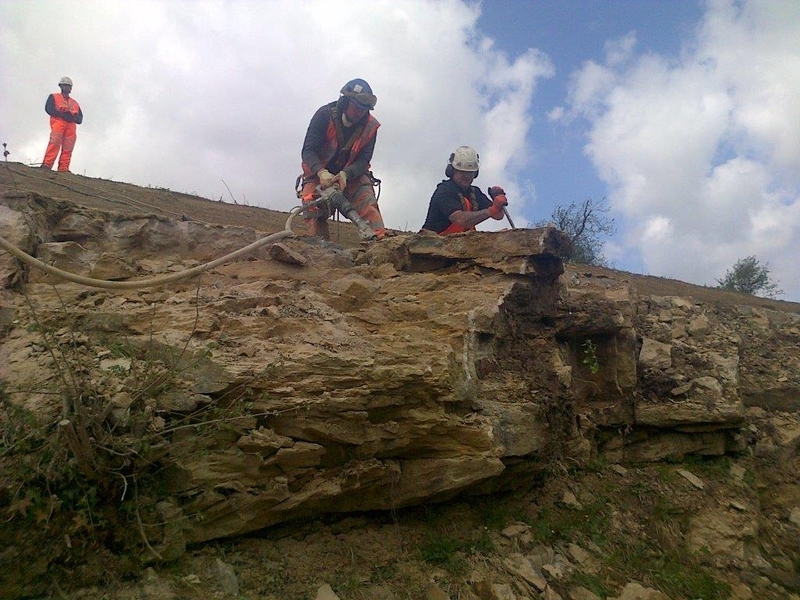 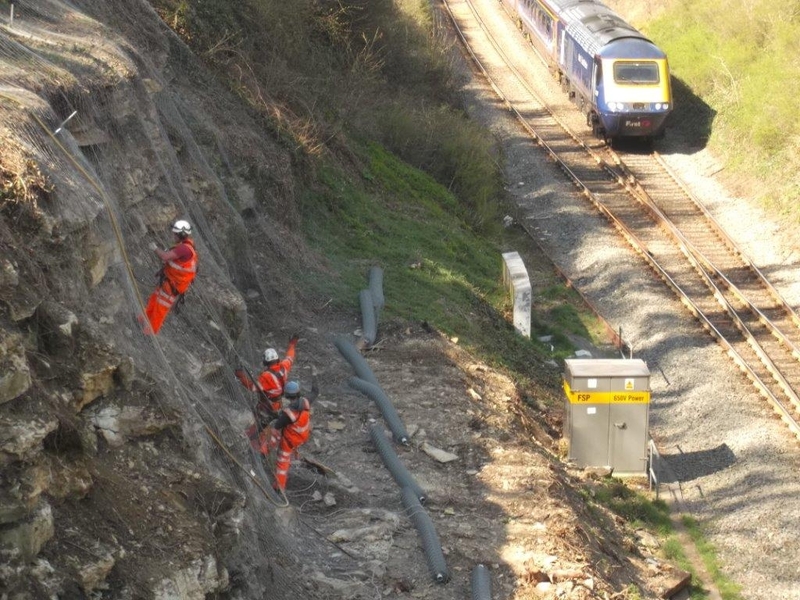 The three month works involved installation of soil nails and rock anchors to a 15m high rail embankment using a combination of rope access and a long reach machine in combination with Condor’s own specialist drilling rigs. 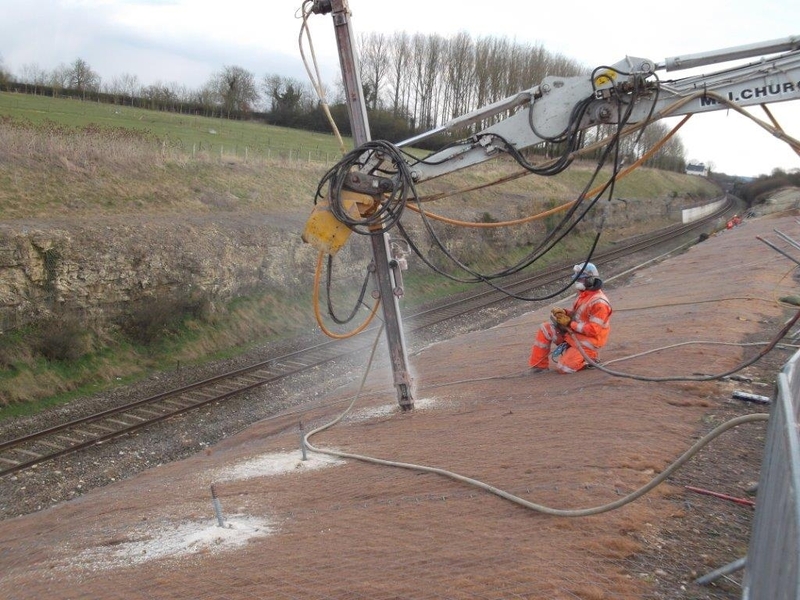 An area approaching 200m long was successfully stabilized and meshed just beyond Kemble station with excellent test results achieved. 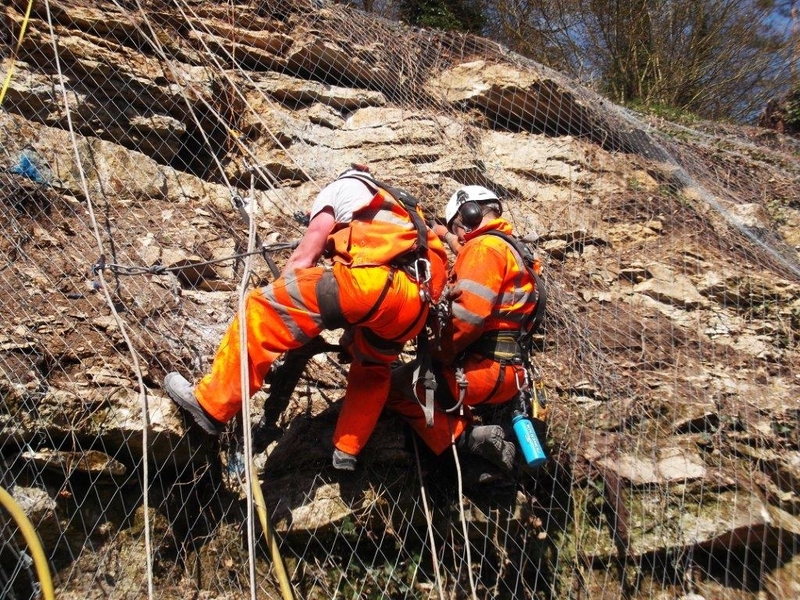 Access made it imperative that Condor used specialist rope operatives with vast experience in drilling and geotechnical environments. 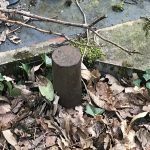 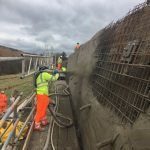 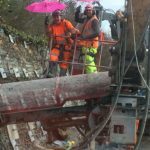 The work also involved rock bursting 20 tonne of overhanging material made precarious due to the risk and danger of working alongside a live line with no margin for error throughout the scheme.